Kebab sticks, either metal or wooden. 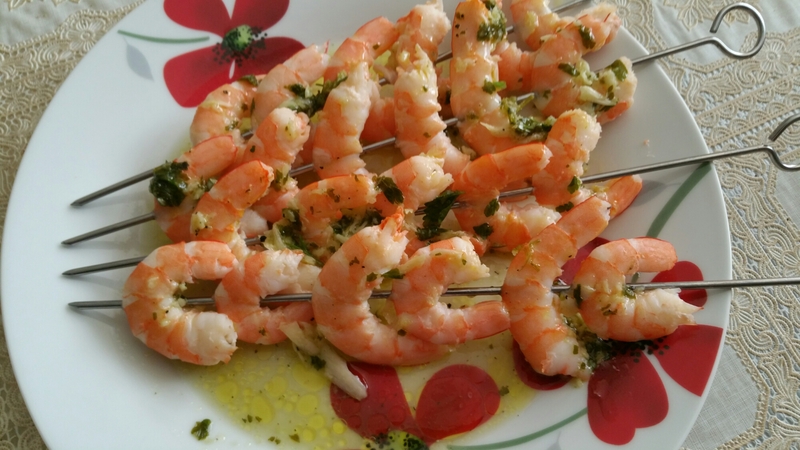 Assemble the shrimp on the kebab sticks. About 6 on each leaving a little space between them. Crush the garlic and parsley together, if possible, using a mortar. Add the olive oil and lemon juice. 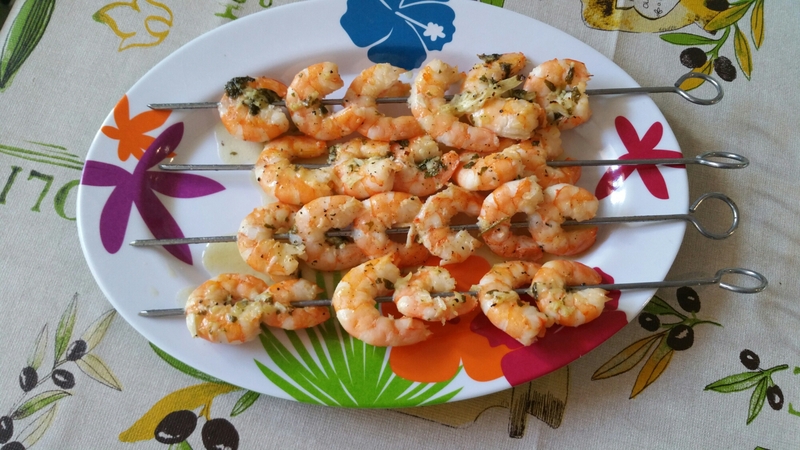 Baste the pinchos with the oil mixture and set them aside to marinate for about an hour. You can use a frying pan or an oven. I chose to use the oven because I don’t have a very flat frying pan big enough for pinchos. Frying pan: on medium high heat, fry the pinchos on each side for 1- 2 minutes. Oven: Preheat to 250 and cook for 5 minutes. No turning needed! Oh these look sooo good! Bring on summer. 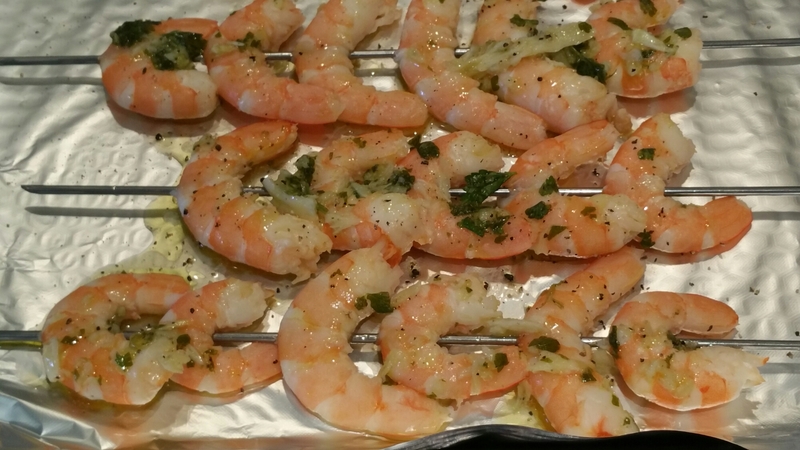 Shrimp are a unique source of the antioxidant and anti-inflammatory nutrient. Small tips are always welcomed. Yes…That means I will eat more of them hahaha!